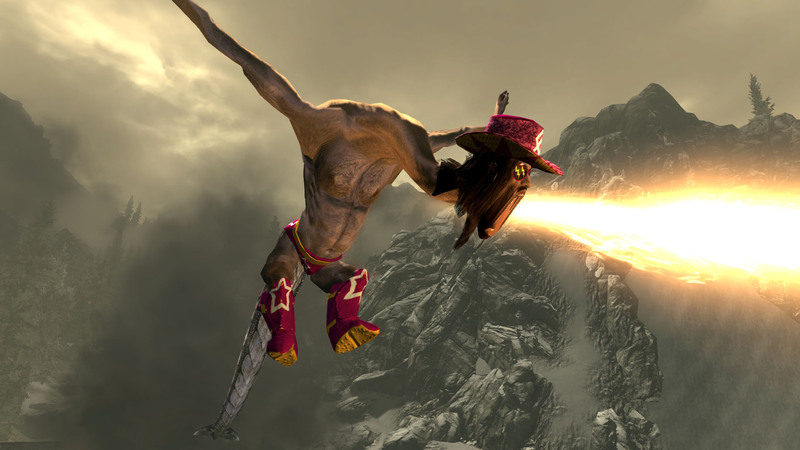 Train2Game student fans of The Elder Scrolls V: Skyrim can replace the game’s dragons with the late wrestler, “Macho Man” Randy Savage. That’s if you install the ‘Macho Dragons’ mod which has been built by a modder going by the handle of FancyPantz. It replaces all dragons’ skins with the man himself, and even changes their shouts to his “Yeah!” catchphrase. See the ‘Macho Dragon’s mod in action in the video below, right here on The Train2Game Blog. Like it? You can download the Skyrim Macho Dragon mod here. Last week, The Train2Game Blog showcased another slightly surreal Skyrim mod, one that allowed you to change Mud Crabs into Futurama’s Doctor Zoidberg. As previously reported by The Train2Game Blog, official modding tools for Skyrim, featuring Valve integration, are set to be released sometime this month. Not only is modding an excellent way for those on Train2Game courses to practice their skills, but it can also provide that extra experience needed to get into the games industry. “It’s a really good way for someone to get noticed because it shows that you’re able” Valve’s Chet Faliszek previously told the Train2Game blog on the subject of modding. A more realistic depiction of “Macho Man” Randy Savage is available with WWE ’12, you see our interview with Lead Gameplay Designer Brian Williams here on The Train2Game Blog. So Train2Game, do you use Skyrim mods? Will you make your dragons macho? This entry was posted in games, Games Designer, Train2Game and tagged Bethesda, Macho Dragons, Macho Man Randy Savage, Modding, Skyrim, Skyrim mods, Train2Game by Train2Game Blogger Team. Bookmark the permalink.